Show Us Your Hi Neighbor! “Hi Neighbor! 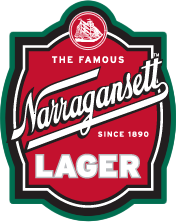 Have A ‘Gansett!” Yep, we’ve been saying it for decades. From the days of Curt Gowdy starting every Red Sox broadcast with these famous words, to our annual Neighbor Days block parties where we go back in time to an era where people actually knew their neighbors! We can spot a good neighbor a mile away. They take care of strangers just as well as friends, and they always buy a round of ‘Gansetts to celebrate or for someone who’s simply in need of a beer after a tough day. “Hi Neighbor” isn’t just a greeting, it’s testament to the kind of person you are. This year we’re rewarding good neighbors. 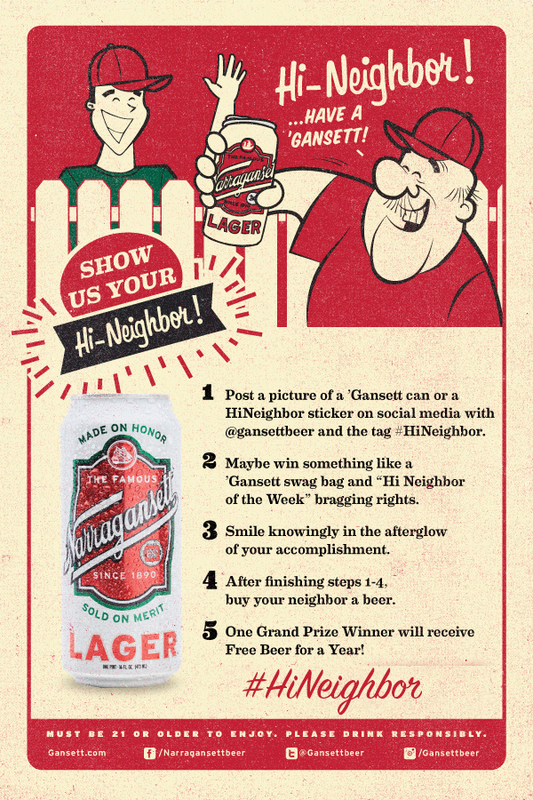 Show us the kind of neighbor you are by posting a photo of your “Hi Neighbor” on Facebook, Twitter, or Instagram using the hashtag #HiNeighbor. 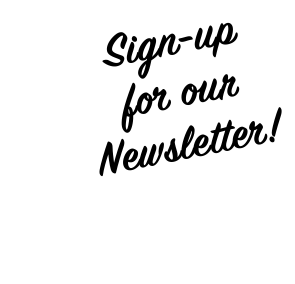 Every week we’ll pick our favorite picture and give away a prize. At the end of the year, the person who posted our all-time favorite picture will get FREE BEER FOR A YEAR! How do you get a “Hi Neighbor”? The options are endless. You could grab one of our classic bumper stickers at our store or free at an event, you could show us the backside of your can (of Lager that is), you could go above and beyond and get a tattoo… how you show us your Hi Neighbor is entirely up to you, so get to work!